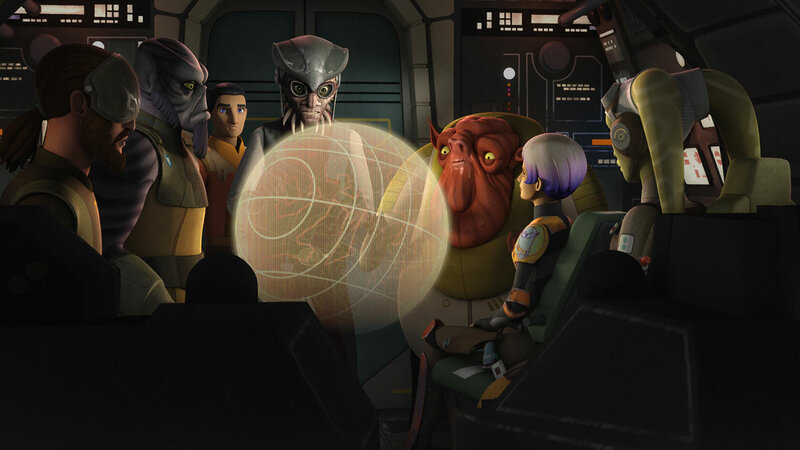 Hondo and Azmorigan team up with the Ghost crew. What could go wrong? Hondo Ohnaka and Azmorigan team up with the crew of the Ghost for “The Wynkahthu Job.” With that any personalities involved, you know things are bound to get…interesting. Here are my 10 favorite moments from the episode! 1. My friends, my friends! You know the minute Hondo shows up, things are going to get interesting. 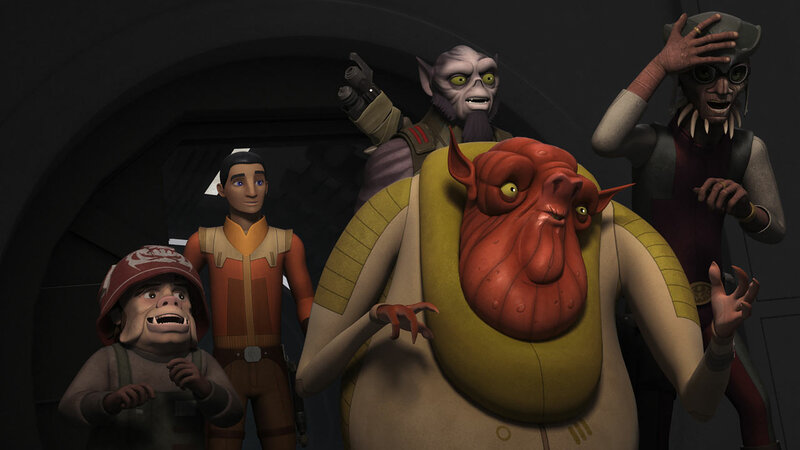 Ezra trying to smooth things over and Hondo just barrels in with his good cheer and…promises. Ezra’s excited. The rest of the crew? Well, their faces pretty much say it all. Someone please get him a handkerchief or a drool cup? Or, at least, something for the ear wax? 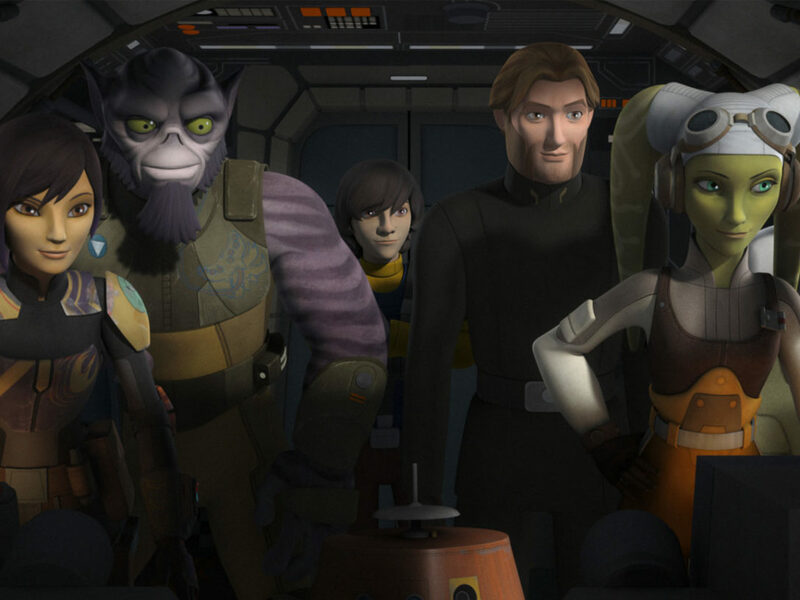 Hera looks about ready to throw him out the airlock any minute, especially when he brings up the fact that he “technically” still owns her. Oh, who am I kidding? The incomparable James Hong makes Azmorigan grossly delightful. Talk about an offer you can’t refuse. No matter how much the rest of the crew may feel, the payout is worth the risk. 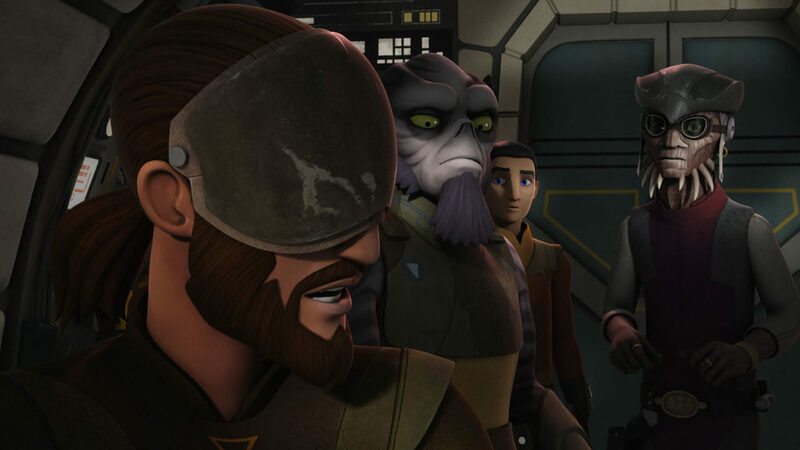 Of course, Ezra’s upset that Zeb’s in charge. 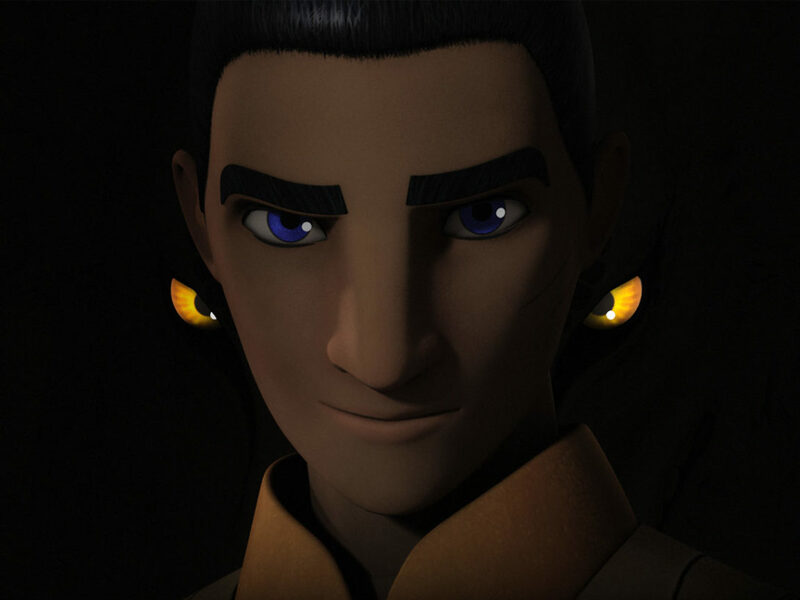 But, as Kanan says, Hera’s trying to show Ezra that his pirate friend is not as “kind” as he seems. 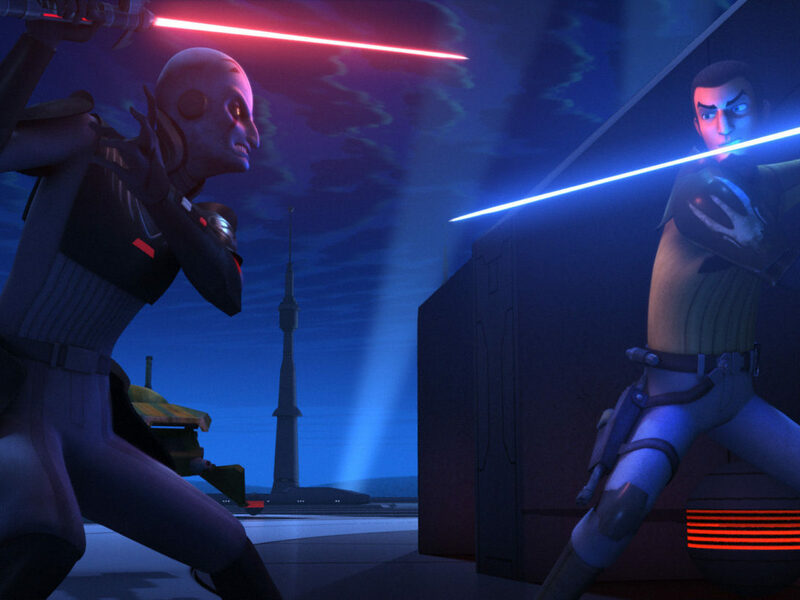 She knows Ezra can be influenced by Hondo, so she’s taking no chances. 4. Everything’s going better than expected. This plan may be crazy, but it’s well executed. 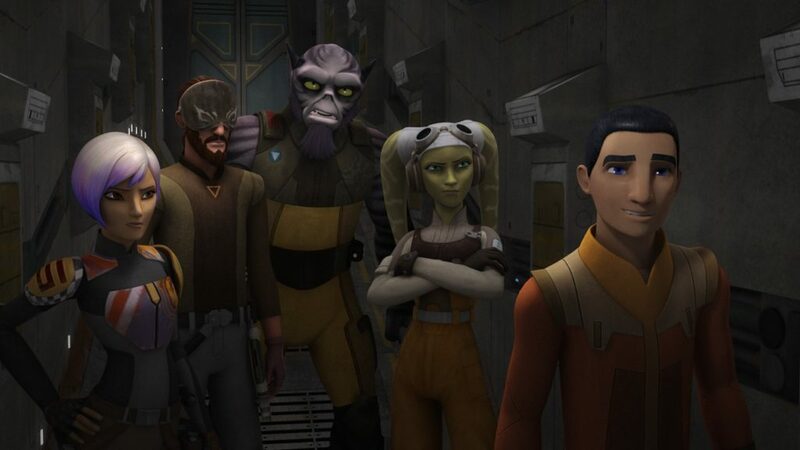 Even with a cranky Ezra, the Ghost crew is running more smoothly than ever and it’s not long before Zeb, Ezra, Hondo, Azmorigan, and Chopper are on the Imperial ship. They’re even getting along! Mostly. Oh, hi Melch! Where did you come from? 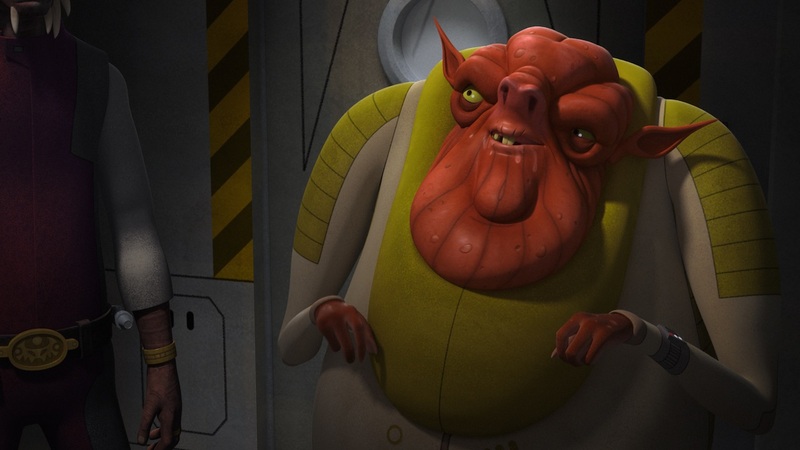 I think animated Ugnaughts are cute, even if they’re not the best negotiators. Zeb, of course, isn’t so easily fooled. 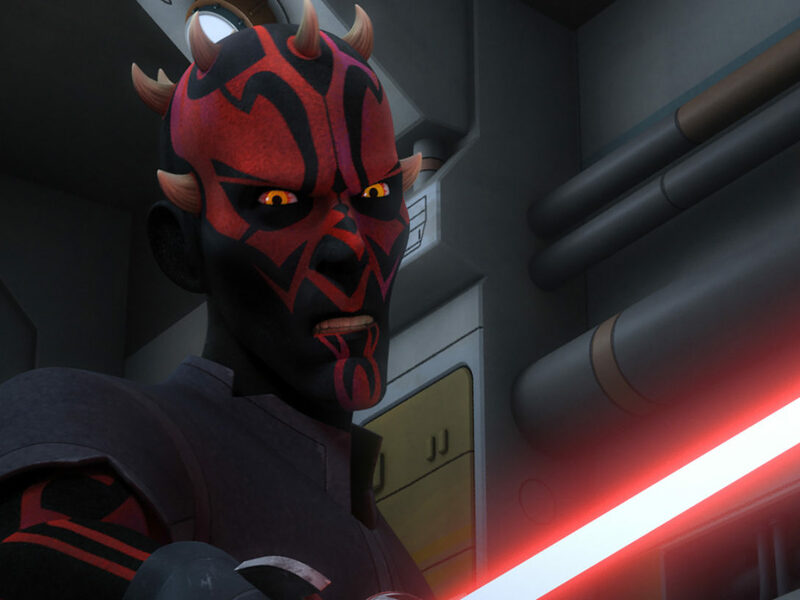 Ezra being so eager to cut open the door with his saber comes back to bite him. “What’s gonna go wrong now?” Oh, Ezra. I can understand, though. That’s a lot of treasure and it’s easy to get excited. For some reason it reminded me of the warehouse in Raiders of the Lost Ark for a sec. Anyone else? 7. 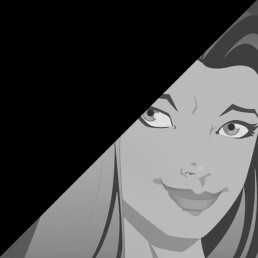 A plan is only crazy and reckless if it doesn’t work, right? The music on this entire sequence was just fantastic. Actually, everything was fantastic. The position of the ships, the winch, and cables, the bombs getting sent across. 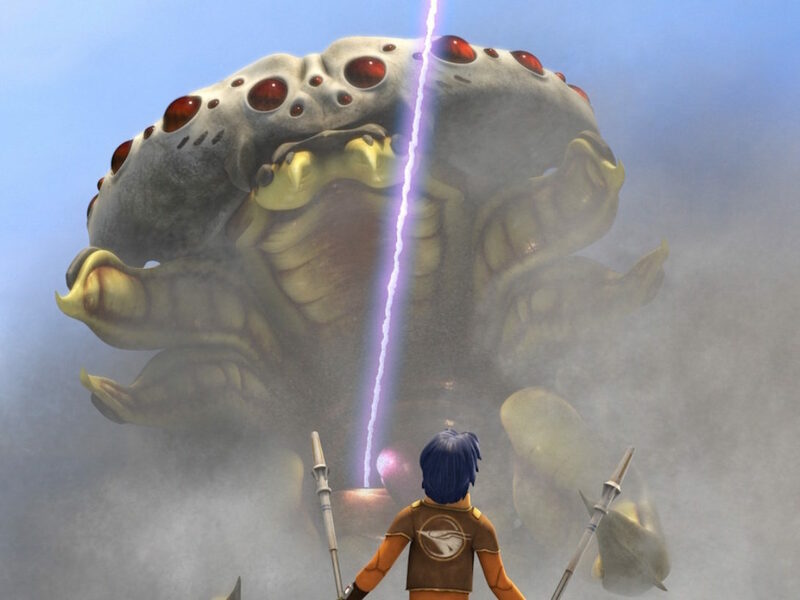 I found myself muttering “C’mon, c’mon, you can do it!” through most of the scene, unless I was laughing about Azmorigan and Hondo fighting over one case when there’s treasure everywhere. 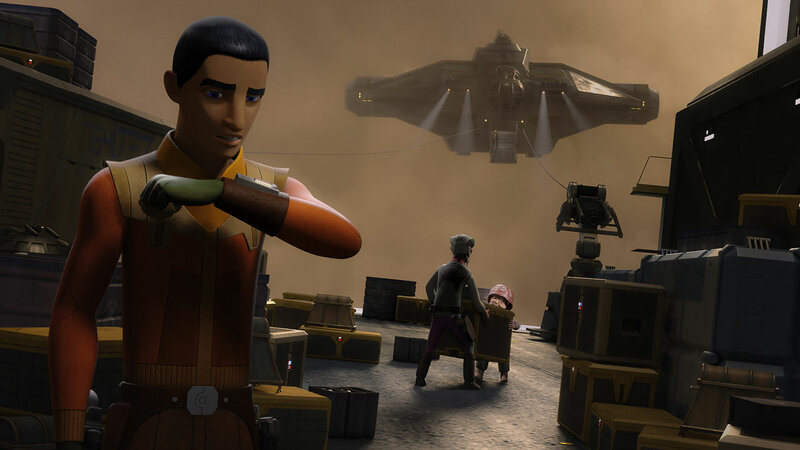 Thankfully, Zeb is keeping everyone on task and sends the bombs first, because Ezra keeps getting distracted. Next thing you know, Azmorigan is missing and Zeb finds a great big sentry droid instead of Mr. Drool. AP-5 sort of forgot to mention them. Whoops! 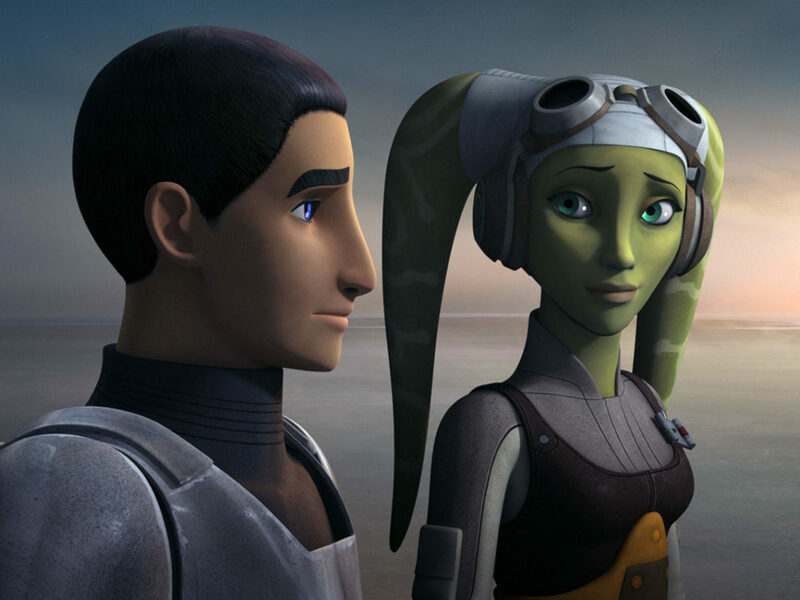 I can only imagine that Ezra was willing to tell Hera that because he figured he was dead anyway, considering they’ve lost the stabilizer. 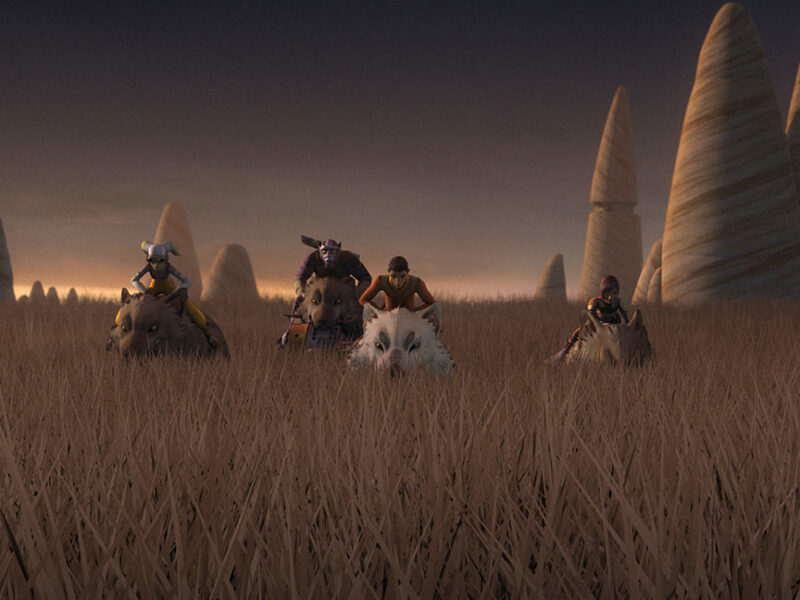 Lucky for everyone, Chopper finds Zeb and Azmorigan. Zeb’s advice to let the sentry droid pass is naturally ignored by the cowardly Azmorigan and, boom, we’ve got multiple droids. 10. 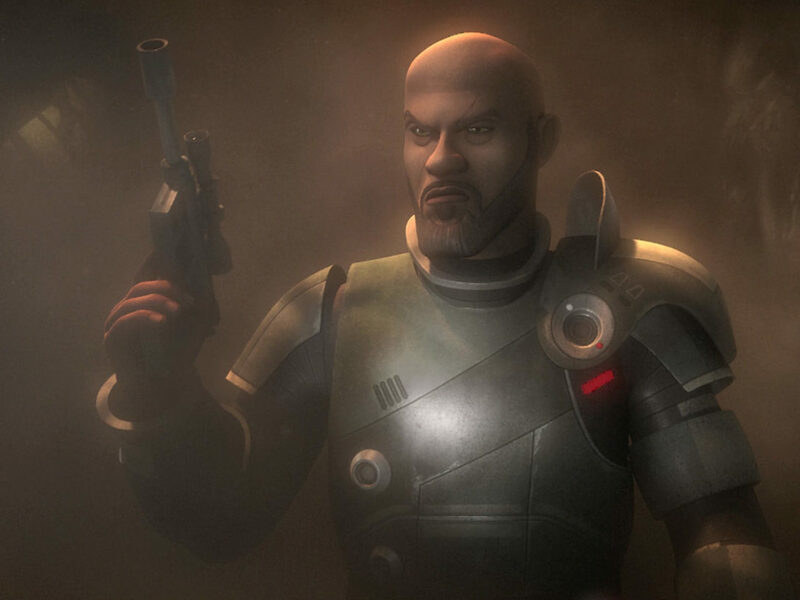 Every man (and droid) for himself. 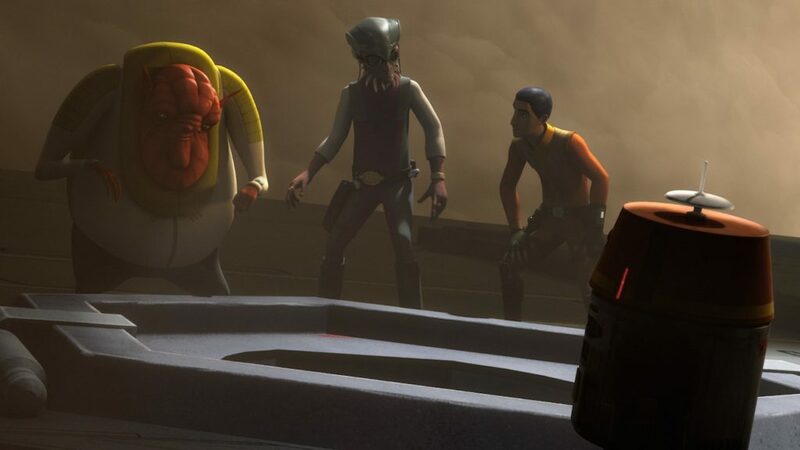 Danger tends to show people’s true nature and that’s the case here, as Hondo and Azmorigan are all about saving their own skins and treasure. (Chopper, too, but he’s a hero, so it’s okay.) 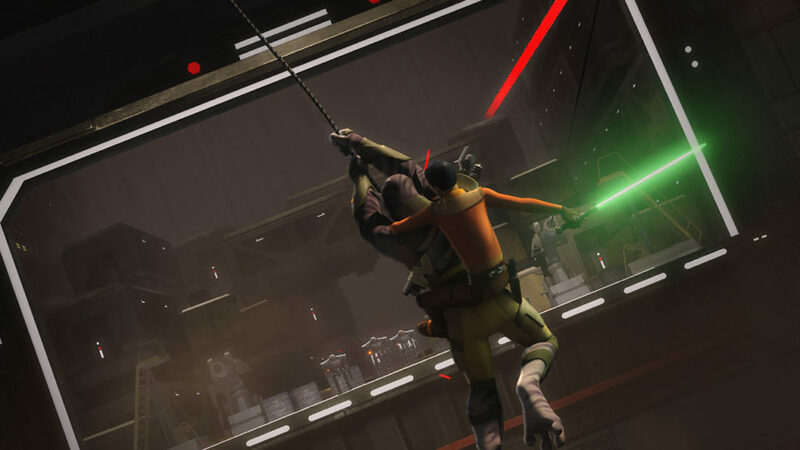 That leaves Ezra and Zeb to their own devices, which include a daring cable swing and thrilling lightsaber action, not to mention some much needed help from Sabine and Kanan, and some incredible flying from Hera. 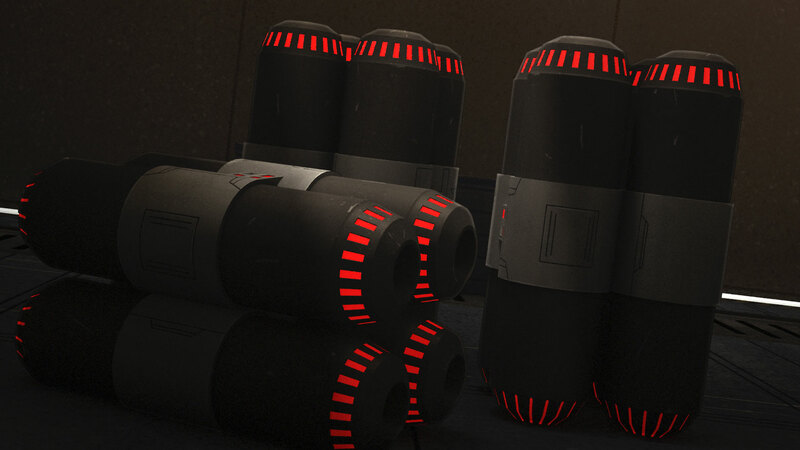 In the end, the rebels get their proton bombs (yay!) and Hondo and Azmorigan get Melch (yay? ).